The Pirates, which was the best raiding team in the tournament, kept up the pressure on the FortuneGiants, with some superb work, to win 32 raid points. 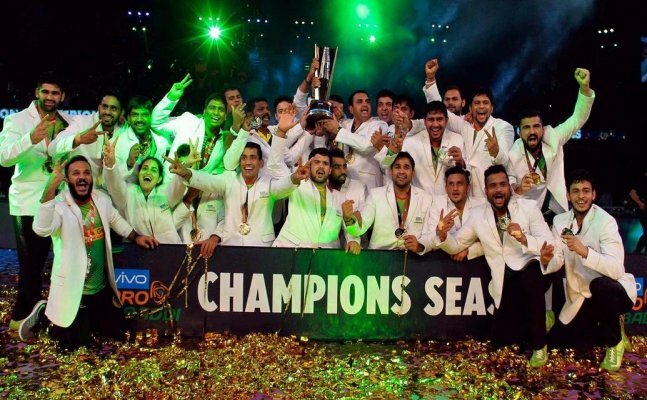 Patna Pirates are crowned champions for the third time after defeating Gujarat Fortunegiants 55-38 in the VIVO Pro Kabaddi Season 5 at the Jawaharlal Nehru Indoor Stadium in Chennai. The star performer of the day was once again Patna’s Pardeep Narwal who scored an incredible 19 while Monu Goyat (9 points) and Vijay (7 points) supported Pardeep well to make life even more difficult for the Fortunegiants. Sachin was Gujarat’s top scorer with 11 points. 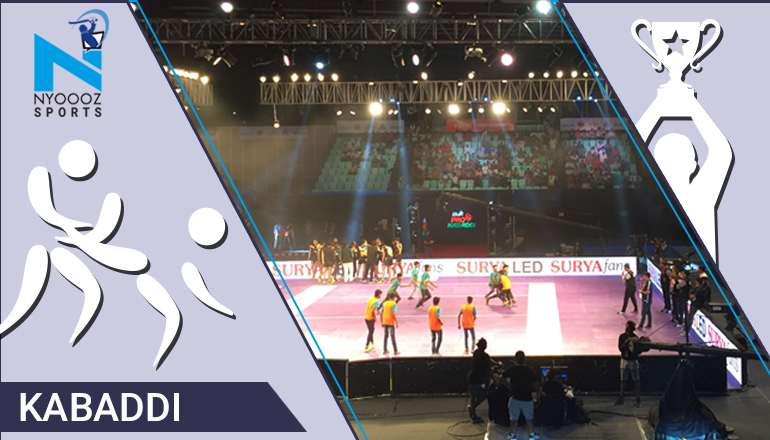 Pardeep Narwal ended the season as highest raid point scorer with 369 points in Vivo Pro Kabaddi Season 5.